Custom Events — P. Shore & Assoc. Inc.
Penny Shore has been retained by many national charities and private corporations to develop unique and high-quality custom events. From concept development, through to securing all suppliers, developing the event program, invitation and program book design, full implementation and post-event wrap-up, she has received accolades for her innovative events. Penny Shore was retained by TGWH Foundation as Managing Chair, for both a Naples, Florida event, Feb., 2016 and a Toronto Gala in June, 2017. Video footage of the unique hologram guests can be viewed by clicking here. The contract involved working on the concept development, invitation design, all collateral materials, décor, entertainment, and publishing the unique Program Books, through to event implementation. The event honoree for both events was the renowned cardiologist, Dr. Heather Ross. In 2017, the major Toronto Gala for TGWH Foundation (400 guest attendees), was held at the Beanfield Centre, Toronto. The event featured a unique hologram celebrity guest component, which "beamed in" Prime Minister Justin Trudeau, Larry King and astronaut Roberta Bondar. Entertainment featured The Sean Jones Band, and guest gifts included custom notecards from Cartier. The fundraising target of $5,000,000 from this 2017 event was substantially surpassed. In 2014, Penny Shore was retained to launch the Casa Loma Art Gallery with a Tom Sandler photography event. Other events in 2014 included the Casa Loma Holiday Gala Launch event for the Waterstone Foundation. In 2015/2016/2017, a private party was designed for Kalles Real Estate Ltd. P. Shore was the Event Chair, November 2015, for the Christopher Plummer event, Shakespeare Globe Centre of Canada. She was retained in 2015/2016/2017 as Managing Chair for the Casa Loma Holiday Launch event, benefiting the Minstrel Foundation (2016-2017), as well as being a sponsor/event consultant and fundraiser for both Casa Loma’s Summer Symphony and “Soul in the City” Series, 2016-2017. Sponsor clients for custom, private Summer Symphony Events include Cartier Canada, Chubb and Hub Insurance Companies, Tully Travel, Downtown Lincoln, President Brie, and Kalles Real Estate. These events included concept design, invitation design, food and beverage selections, floor plans, A/V requirements, photographer, and securing event entertainment. With custom private events, meetings are held in advance with clients to determine requirements, theme, date, guest lists and budget. In each case, an appropriate venue is secured, and the event is implemented with a production work-back schedule. Penny Shore was retained as Managing Chair to create a custom Gala event for Shakespeare Globe Centre of Canada, 2013, “A Salute to Bluma Appel.” She Chaired a Volunteer Gala Committee, and worked with an in-house venue team and the Board of Directors to implement this Gala event. This event included emcee George Stroumboulopoulos and entertainment included Liona Boyd and Robert Pilon. She was again retained as Managing Chair for the 2015 Casa Loma Gala to honour Christopher Plummer. Guest entertainment included performances by Louise Pitre and Dr. Draw. Penny Shore was retained in 2010 as a Gala Consultant, and in 2011 as the Managing Chair of the Scarlett Ball Gala, an annual fundraising event for West Park Healthcare Centre. The 2011 Gala for 360 attendees was held at the Four Seasons Hotel, Toronto, with cocktails, dinner, Gloria Gaynor secured as featured entertainment, and an After Party. As well, she was retained to develop and implement two signature Gala events in 2012, the summer Muskoka White Party, held at Lake Joseph, and the Panache Fall Gala Dinner, La Dolce Vita, at the Windsor Arms Hotel, with celebrity Chef from Il Mulino, New York. 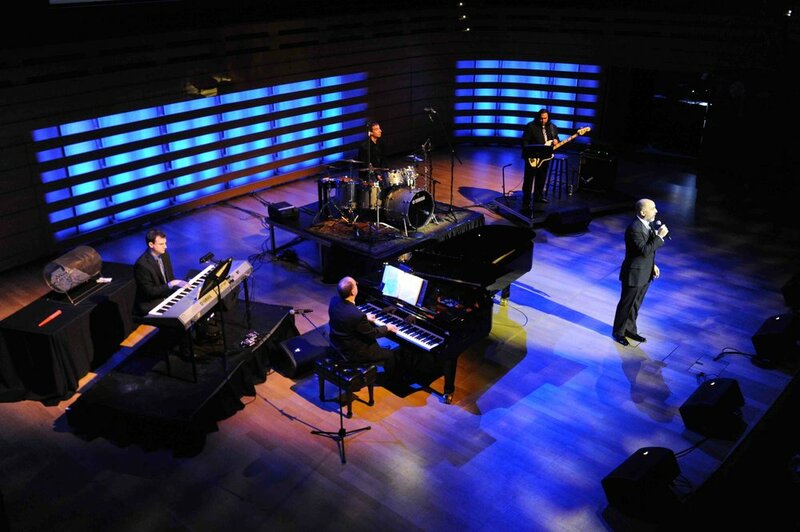 In 2013, the Panache Gala included a Tom Sandler photography exhibition, entertainment by Jarvis Church and a concert event at Koerner Hall. Penny Shore was retained in 2011 to create, design and develop two 2012 events for the Kidney Foundation of Canada. This includes initial concept and full implementation for events, securing celebrity entertainment, and final evaluation. This included initial concept and full implementation for events, securing celebrity entertainment, and final report and evaluation. Penny Shore was retained to create a new Gala event concept, “Humber Goes Hollywood”. She worked with the voluntary Gala Committee and in-house team to develop, implement and finalize the Annual Gala, for over 750 guests, May 2012. This included securing celebrity performances, a unique "paparazzi entrance" with giant Oscar figures, and feature films projected on a screen wall. 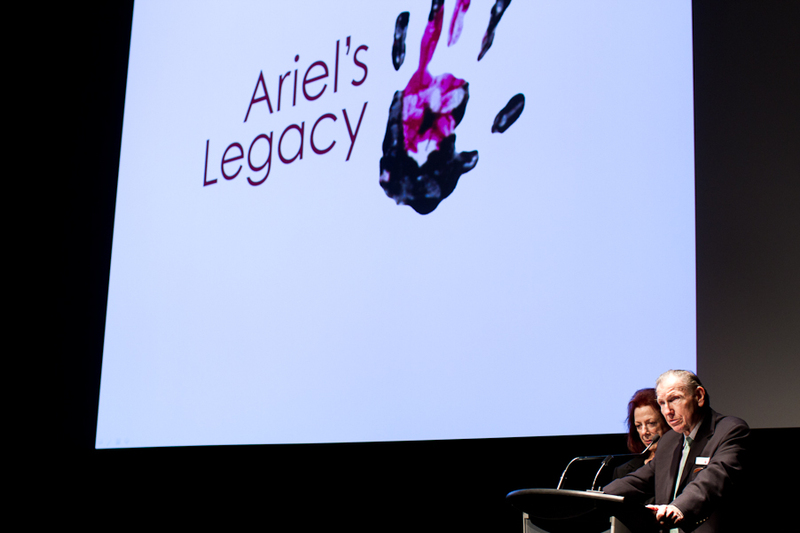 Penny Shore created and implemented an inaugural event in May 2011, to raise funds for Ariel’s Legacy Foundation (a charity based in New York and Toronto). This event included concept and invitation design, a celebrity emcee, Rosey Edeh, expert medical guest speakers, a feature film screening, and a cocktail after-party. Penny Shore Co-Chaired, along with Daniel J. Greenglass, this signature, annual event for 18 years running. This black tie event for high-end charitable donors was initially affiliated with the Toronto International Film Festival and raised significant funds for Best Buddies Canada over the years. The format for this event was to honour a major celebrity, at an elegant sit-down dinner, with unique entertainment and décor (previous honorees have included: Peter Fonda, Lauren Bacall, Shirley MacLaine, Burt Reynolds, Ann-Margaret, Lou Gossett Jr., Norman Jewison, James Earl Jones, Michael Bublé, Kathleen Turner and Goldie Hawn). Over the years, this annual event has raised significant supporting funds for the Best Buddies Canada Program. This sporting event, Chaired by Penny Shore and funded by Audi Canada, for over 1,000 participants, was a charitable fundraising event (Biking Event in 2010, Walk/Run Challenge in 2011/2012) with entertainment and prizing to raise funds for Best Buddies. This event was hosted by sports celebrity emcees, and was attended by Canadian Olympic athletes and other media celebrities. Event participants secured personal sponsorship to contribute to fundraising goals. In 2007, Penny Shore Co-Founded the inaugural Woodbine sporting event Gala for Best Buddies Canada. This annual Summer event, which has occurred for nine years running, is held at the Woodbine Race Track and is inspired by the Ascot event in England. It is titled "The Thrill of Ascot". With 8-10 races per event, there is an elegant buffet luncheon and a luxury auction. This event is held in the permanent event tent at the race track edge, and for the past several years has been Co-Chaired and managed by a new, dynamic Committee. Penny Shore created this signature event, 2010, for the Canadian Women’s Foundation. The celebrity Honouree was Canadian icon, Anne Murray (and the 2009 Honouree was Chantal Kreviazuk). Over four hundred guest women donors participated at each of these Gala events. It was expanded to be a national campaign in 2012/2013. Penny Shore was retained in 2011/2012 to create an elegant, evening corporate seminar event, including concept development, invitation design, program book, and securing a Guest Speaker Panel. This event featured a cocktail reception, a panel of guest speakers on personal financial management, and a celebrity chef dinner. This national program, the "Starlight Children's Art Project", was developed in 2011, to launch a children’s art competition in elementary schools across Canada. The program was implemented in 2012 by the Foundation and all proceeds from the finale online art auction were raised from both the Foundation and participating schools. This series of meetings was developed for the Research Center on the Older Worker, which Ms. Shore Founded and Chairs. The partner for this event was the Centre for Financial Services, at Seneca College, 2010. This Roundtable Series was designed to create discussions and dialogue on research regarding the older worker and retirement issues in Canada. Group participants to date included, Senior HR VPs and Directors, Presidents and CEOs from both the private and public sectors.